Molinaro's Ristorante is one of those places that kind of snuck up on me and then became a part of our family routine. I remember having lunch with my mom at Molinaro's when it was in a house, and then taking the wife to the actual restaurant years later. A pizza place that also has a bakery is a dangerous combination for anyone afraid of excess. What makes it worse is that both sides of Molinaro's are usually the best there is in the city. Molinaro's is the kind of place that will either drive you crazy, or become a weekly spot for your family to go for foods everyone in the family will love. It can become your weekly spot because the pizza, subs, and baked goods are really worth having on a regular basis. One of the things I like about Molinaro's is that they are always trying out new baked goods, and every baked good this place makes is the biggest portion you will find. Molinaro's can drive you crazy because you figure that a place that can make food like that should have a more diverse menu. You can get one of the best burgers in town at Molinaro's, but you cannot get a steak. I think that the ambiance of the dining room helps to make people think that the menu will have more to offer. But if you really give the menu a chance, you will find that it is actually a smart approach to running a premier pizza place. Molinaro's only offers the food that it is really good at, which is all customers would ever really want. Everything Molinaro's makes is fresh, which can sometimes slow down the service in the dining room. The servers are all extremely courteous and professional, but a busy night at Molinaro's means a bit of a wait. As long as you remember that the wait is caused by the awesome food you will be getting, then the whole evening becomes quite tolerable. Molinaro's delivery service is very fast, but a little pricey for us. When we order out from Molinaro's, we always pick our food up to save some money. Every cashier and server I have ever dealt with at Molinaro's has been courteous and fun to deal with, which is always refreshing. The biggest complaint I have against Molinaro's is the inconsistency of their food. We have eaten at a lot of pizza places in Lockport, and the best ones deliver the same quality food every time. Yes, there are times when you get a dry turkey sub or overcooked fries. Those things happen with any restaurant, but they seem to happen more often with Molinaro's. When you get yourself all ready to bite into a Sicilian pizza and it is obviously overcooked, it can be disappointing. If Molinaro's could solve its consistency issue, then it could be in contention for the best pizza in the city. When Molinaro's gets it right, it serves the best food in the area. The problem is that you have to hope you don't get an off-night for the kitchen if you want to enjoy your meal. 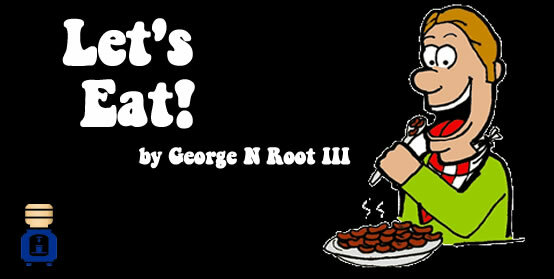 George N Root III loves food and local restaurants. Follow him on Twitter @georgenroot3, or send him a message at georgenroot3@gmail.com.